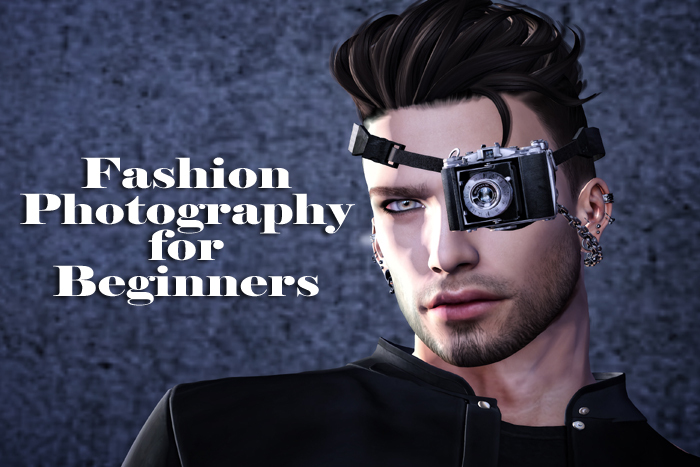 I’ve been asked by several people to post some tips for fashion photography, so I guess this is that post. 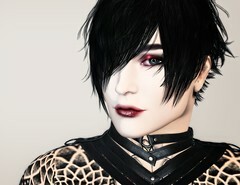 Hell, I’m nowhere near the league of SL’s finest when it comes to fashion photography. 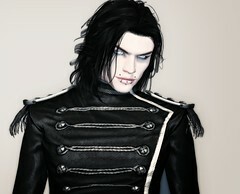 I don’t spend hours in Photoshop, painting individual hairs and all that stuff. I just do what I do, it comes out pretty well, and people seem to like it. 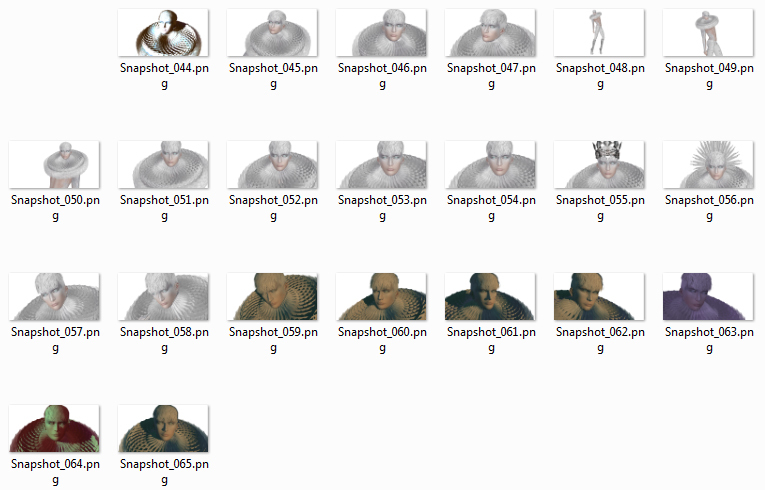 Set them to save as PNG. 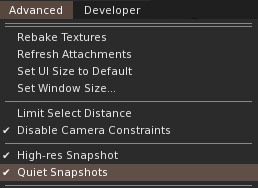 Together, these two options will remove the jagged edges around your avatar. They will also give you much more to work with if you take your images into a photo-editing program afterwards to make any adjustments. 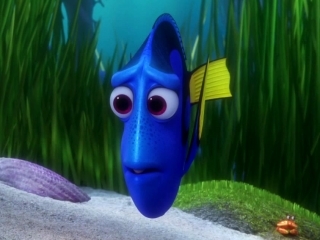 Ever wonder why you end up looking like Dory in your images? – how on earth is anyone going to see your hair or beard applier or eyes, or whatever else you’re featuring? Get up close and personal, and show off that fashion. I tend to favour a simple textured background. I know a lot of people love those pre-loaded photo booths that can be bought, but honestly? A basic texture or even a single-coloured wall behind you will focus the viewer’s eye on what you’re wearing. Which… is kind of the point of fashion photography. Which of these looks a bit more interesting? Or even more satisfying? It’s the same pic, just cropped a bit differently. That shot gains more gravitas and focus by being central. The pose is calm and centred and in control, thus the image positioning reflects that. For darker Windlights, try using a very soft (and I mean SOFT!) 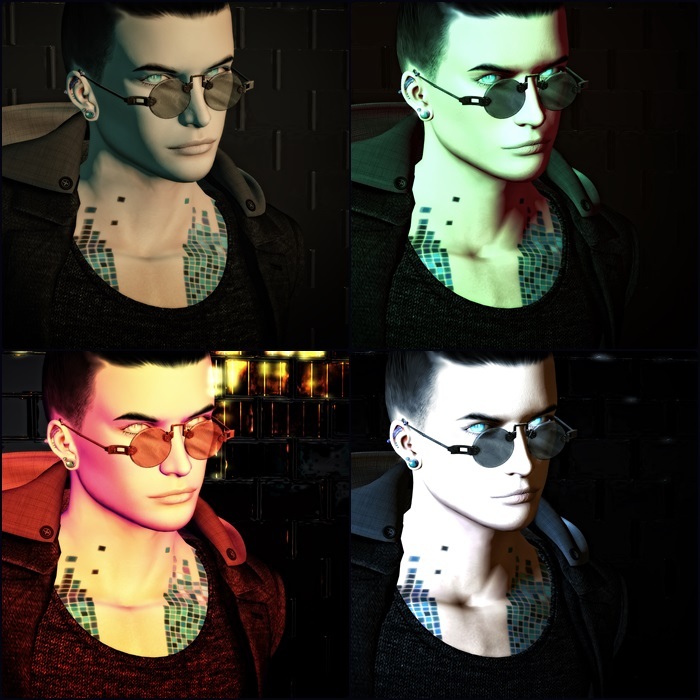 facelight, or some projected lighting on your avatar. 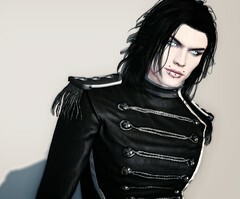 You’ll get the moodiness of the Windlight, but your avatar won’t be completely obscured by it. 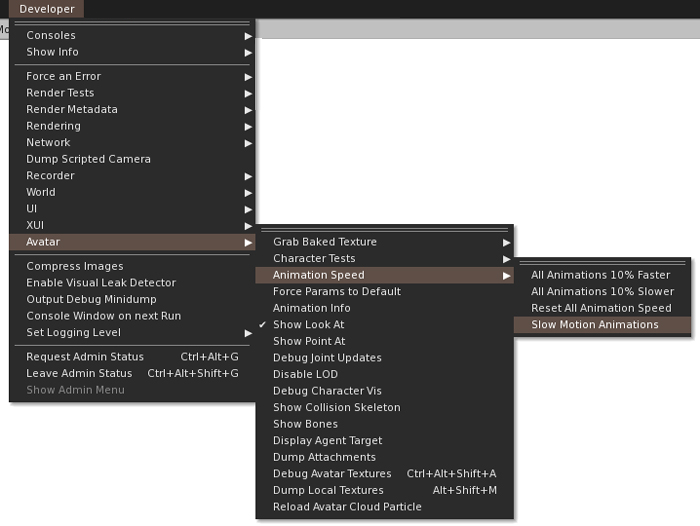 That setting will slow down your animations (on your viewer only). It’s perfect for capturing that hint of a smile right before you break into an ear-splitting grin, or the moment when your eyelids flutter perfectly shut just before you pull a silly face. 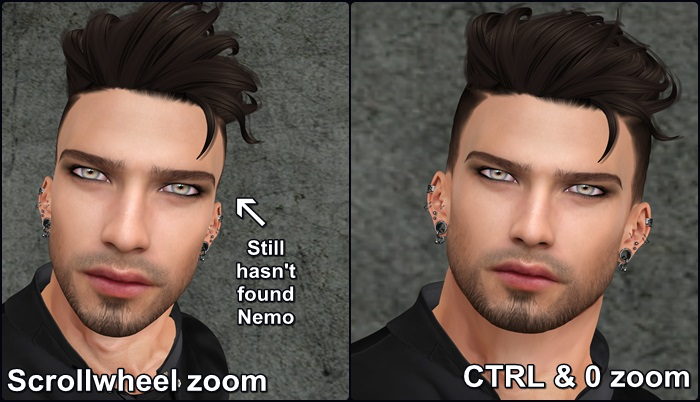 By watching each of your Bento mesh head’s animations at normal speed you can identify the moments you want to capture, then run them again in slow-motion, with your cursor poised over the ‘refresh’ button of your screenshot window. 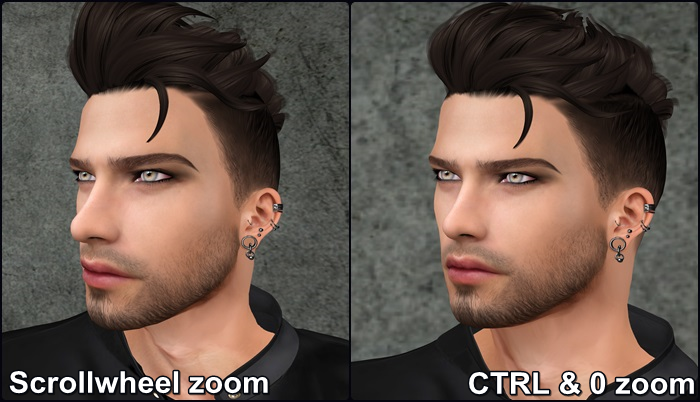 This vastly increases the number of possible face animations (in the form of those individual little moments) that you can make use of for your images. Tip 10: Don’t foreshorten yourself! Okay, so Skell has giraffe legs, so the ‘before’ image below doesn’t really work too well. But taking an image from above will foreshorten your legs to such an extent that you’re at risk of singing Oompa-Loompa-doompety-do. Angle your camera at your midriff, or—if you want to lengthen your legs a bit or give your avatar’s pose a slight air of authority—then angle it at the knees and look slightly up. 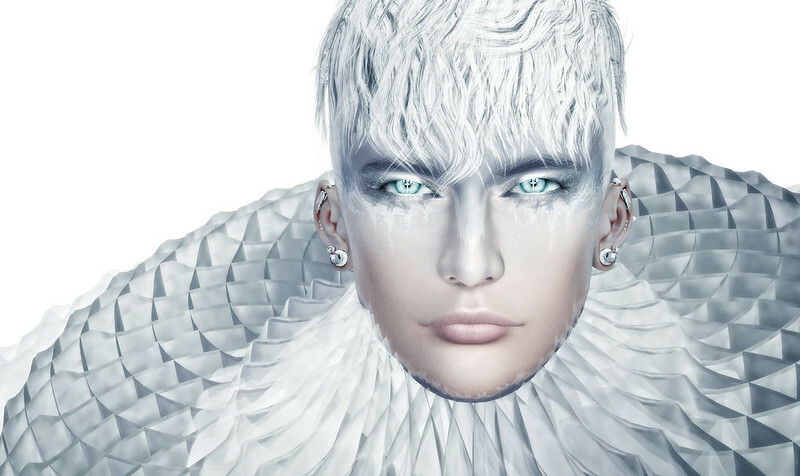 However, if you like the look of your avatar’s head or face from that higher angle, get in close (CTRL+0 again) and leave your legs out of the shot. I’ve seen people taking photos from above that make their legs look much shorter than their torsos. That’s not a good look! Whether you just crop them using Paint or you take them into Gimp or Photoshop, whether you find Insta-worthy filters or use Pixlr (which is a free online app) play around with your images and see what else you can do with them. BUT! Don’t go too far. If you obscure your image too much, you’re back to that “how the hell can people see what you’re wearing?” thing. Tip 12: Want to show more than one part of the look? Composite! And that’s your lot. Hopefully these tips will be useful to you.